Think remnants as you get out into the garden to tidy up now the days are longer. Birds are looking about for pieces of vegetation to use as nesting material. 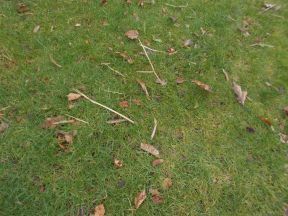 Do not be too tidy with the rake when scraping it through the lawn. Herbaceous leaves that have lain through the winter are now shredded and ideal as nest lining. 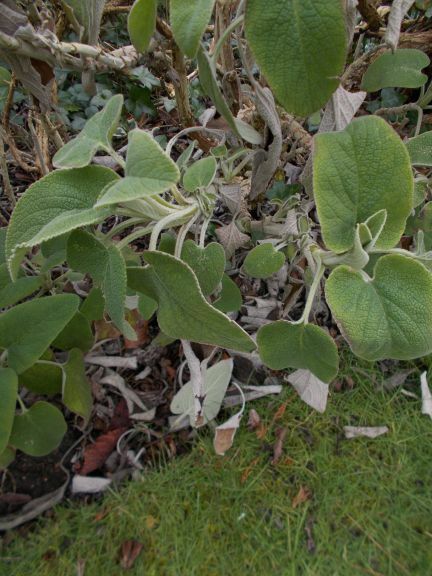 The dead leaves soft with indumentum on Phlomis, are perfect as a lining for the egg laying. In the vegetable plot, last year’s Strawberry foliage and dry brown stalks of Rocket will be carried off nest-ward. But more than anything, birds need hedges to construct their nests in. If you are contemplating a boundary division, choose plants to grow a living hedge, not a fence. The pleasure of increased bird life in the garden will add to the enjoyment of the garden. Hedges also add to the natural corridor that enables birds, mammals and insects to move through an area forming local hotspots of biodiversity.